What does the Republican Party stand for and why should voters support it? These are important and timely questions. 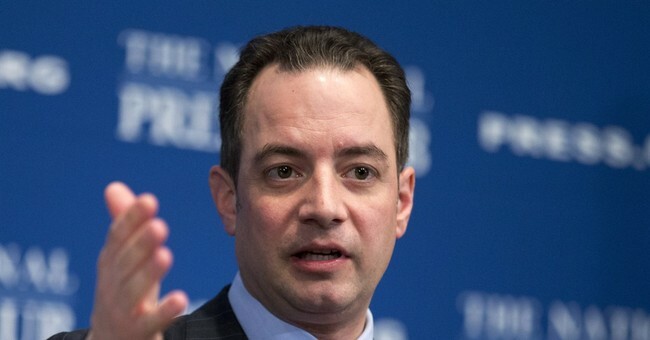 And this morning at George Washington University, RNC Chairman Reince Priebus sought to answer them by outlining the GOP's "Principles for American Renewal." 1. CONSTITUTION: Our constitution should be preserved, valued and honored. 2. ECONOMY: We need to start growing America’s economy instead of Washington’s economy so that working Americans see better wages and more opportunity. 3. BUDGET/DEBT: We need to pass a Balanced Budget Amendment to the Constitution, make government more efficient, and leave the next generation with opportunity, not debt. 4. HEALTHCARE: We need to start over with real healthcare reform that puts patients and their doctors in charge, not unelected bureaucrats in Washington. 5. VETERANS: Our veterans have earned our respect and gratitude, and no veteran should have to wait in line for months or years just to see a doctor. 6. SECURITY: Keeping America safe and strong requires a strong military, growing the economy, energy independence, and secure borders. 7. EDUCATION: Every child should have an equal opportunity to get a great education; no parent should be forced to send their child to a failing school. 8. POVERTY: The best anti-poverty program is a strong family and a good job, so our focus should be on getting people out of poverty by lifting up all people and helping them find work. 9. VALUES: Our country should value the traditions of family, life, religious liberty, and hard work. 10. ENERGY: We should make America energy independent by encouraging investment in domestic energy, lowering prices, and creating jobs at home. 11. IMMIGRATION: We need an immigration system that secures our borders, upholds the law, and boosts our economy. A thriving economy, a Balanced Budget Amendment, repealing Obamacare, and reforming the VA are only some of the issues that the Republican Party stands for. Through this framework, the RNC hopes, voters will gain a deeper understanding of what principles guide the party -- and of course, what unites it.